A Round Table Discussion on Battle of Adwa was held on Friday, October 6, 2017 in Harlem, New York City. The event was hosted by Ethiopian Community Mutual Assistance Association, Inc. (ECMAA). ECMAA has a non-profit 501 (c) (3) status, and is licensed by the New York Department State under the sponsorship of the Board of Directors. One of the it’s mission for Ethiopian residents living in metro NY, NJ, and CT is to organize discussion forum that will promote and enhance a positive cultural identity for the Ethiopian community. The discussion about the battle of Adwa was inspiring. The invited speaker was the notable historian Dr. Ayele Bekerie. He reminded the participants that all Ethiopians citizens have responsibility to correct when someone systematically paint a negative picture about the battle of Adwa. Specifically, the elite must speak out about the battle of Adwa which is fully supported by impeccably researched facts. Battle of Adwa is historical event that sparks a patriotic flame in all Africans heart. The invading Italian army was resoundingly crushed in March 1896, and became source of pride to Ethiopians as well as Africans. Our forefather strived to protect the country and paid the ultimate sacrifice. Adwa left its nostalgic mark in the memories of patriotic Ethiopians and Africans and deservedly so. The social composition of patriotic army were multiethnic from all parts of Ethiopia. The patriots carried out their fight, with cannons, guns, swords’ to the unmatched highly modernized enemy forces. Ethiopia freedom fighters has been multiethnic all along. The multiethnic freedom fighters unity, endurance and sacrifice is duly recognized as one of the great landmark in Ethiopia history. Because of their sacrifice, Ethiopia has existed as an independent country for a very long time. The current ruler of Ethiopia, EPDRF, has imposed ethnic based federal system. Its constitution based on “nation & nationalities” which allows secession for ethnic group. Secession is a seed for civil war. Ethnic politicians promote EPDRF’s constitution. It encourages excluding all those who do not belong the same ethnicity from same area. Refer to the recent Oromo-Somali regional government conflict in Easter Ethiopia, where several thousand Oromo residents evicted. It was deadly clash as reported on news Medias. These recent clashes and similar several ethnic conflicts had happened in the past all over Ethiopia as consequence of ethnic politics. The formation of ethnic federalism based on linguistic differences for regional border (which has never official demarcation) is the cause of conflicts. The question becomes what is the role of the ordinary Ethiopians? Of course, the answer is not simple. Proponent of ethnic politics are not looking reality of the complex cluster of multi-culturalism that unified Ethiopia. 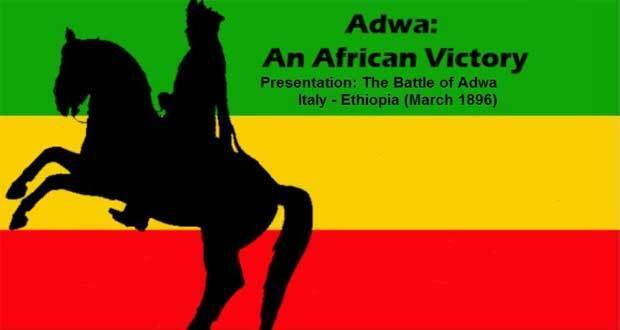 The dialogue on this event improved our understanding of the battle of Adwa. At the end of the discussion, the speaker, Dr. Bekerie gave answer to several questions raised by the attendees. The history of Adwa is striking example that all Ethiopians ethnic groups were united in defending our land and our Ethiopiawinet. Hopefully discussion such as this helps us in strengthening Ethiopiawinet.